The 40x wagering requirement is too high for many players. 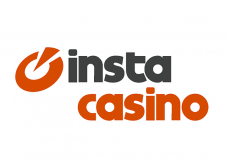 Casinoland is an online casino that opened its doors in December 2015. 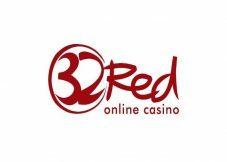 Professionals behind its creation wanted to come up with a trustworthy brand that would make the casino the go-to online playing arena. 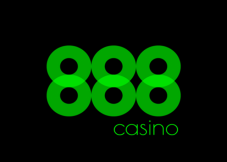 It promises the ease of use in all aspects including logging in, depositing, cashing out, and selection of abundant games. The white and blue colours dominate the website, and the casino’s logo is an image of 2 playing cards that look like two hills. There is also a picture of a frog that has a dice footstone and appears to be sitting on the top of the globe. 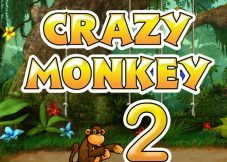 To become a member of this casino and access real money games, you are required to open an account. The process takes a few minutes, and you will not pay anything for this. Simply look for the link “Create Account” and pick a username. Then, proceed to enter the details that Casinoland asks for. Be careful and provide authentic details because the incorrect ones can cause delays in account verification and problems with withdrawing. Understand that account verification happens on different stages as it is the industry standard requirement. The customer support team can contact you anytime they need you to submit any documents. Worth noting is that you can only operate from a single account. In case there are any problems during the registration session, contact the friendly customer support team to know the way forward. 4th Deposit: 25% on a maximum of £200. For instance, if your first deposit is £50, your account will have a total of £100 to play with. Only new clients can benefit from this bonus. In total, new members can end up getting £800 if they deposit consistently for the first four times. This, however, comes with a 40x wagering requirement. You have also utilise this bonus within 30 days after setting up your account. £5 is the maximum amount of the bonus funds you can use to place your wager. Besides, deposits made with Skrill and Neteller do not qualify for this bonus. 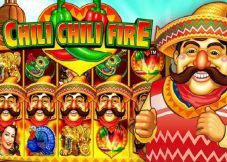 Each Tuesday, the casino shines a spotlight on one of their latest games in Tuesday Spotlight Special. This is where you can get some money or spins to spend on a particular game that Casino Land selects. Casinoland has a neatly designed portal that allows members to find the game they want fast without any complications. You can explore various NetEnt slots at Casino Land if you prefer the titles by the company. It is not to say that you do not have permission to play top-quality slot from the other gaming software developers. This is a 6-reel slot from Big Time Gaming. Its symbols comprise different colours of chillies like green, blue, purple, and red. The other symbols include A, J, 9, and 10. The purple chillies pay the highest when landing six of these as they give you 50.00. 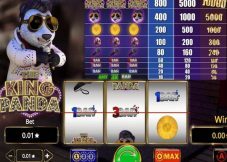 Note that all the wins in this slot usually start from left to right, and payouts are multiplied by the stake a player places. Each winning symbol is quickly replaced by other symbols that come from above the reels. The slot also comes with the autoplay option that allows participants to set the number of reels they want as well as win and loss limits. The lowest amount you can stake in this game is £0.20, but you can go as high as £40.00. The word “HOT” acts as the scatter symbol. If you align three of these on the winning lines, you will enjoy a total of 8 free spins. The wild symbol is the three rockets that are about to take off. 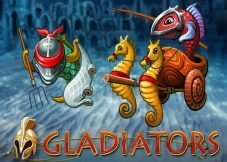 This is an exciting game that gives you the opportunity to walk away with 4 jackpots. These are known as a mini jackpot, minor jackpot, major jackpot, and the largest is known as a grand jackpot. The minimum bet you can place is £5, 50, 250, and 2,500 respectively. To place the maximum bets, you will need to deposit £125, 1,250, 6,250, and 62, 500 for all the jackpots starting from the smallest. The jackpot prizes are fixed, what means these are not progressive. 26 fixed bet lines, 5 reels, and 4 rows are some of the words that are used to describe the game. It also comes with interesting features such as four types of wilds, i.e., Colossal, Stacked, X2 Multiplier, and Linked Wilds. Players cannot adjust the play lines as it is played with all the 26 bet lines, a bet of around twenty coins for every bet level as well as varying coin values. The level and coin value selector helps set the bet level and coin value separately. Besides, clicking the AUTO button allows you to take advantage of the autoplay function giving you the chance to play the game for a number of rounds without having to manually do this. Also, the title has a theoretical RTP of 96.15%. Here, the coin value starts as low as 0.01 and can go all the way to 2.00. The chest symbol pays the highest where matching 5 will give you 150. The interactive feature table will let you know about all the wild combinations you should be seeking to hit. Moreover, the wild symbol is the horseman, and it substitutes for all the others with an exception of the lightning bolt which is the scatter. Landing 6-13 lighting bolts rewards you with a re-spin. During this sessions, the gamer gets all the prizes that appear. If you want to play Casinoland games for real money, there is a host of deposit as well as withdrawal methods players can use. Depending on preference, here is a list of choices to choose from. All the above options come with a 0.00% fee and can be used for crediting your gaming account and withdrawing. The transaction limits range is £10-£5,000. The processing time is instant for all the above options apart from PPRO which takes about 3 to 5 days. 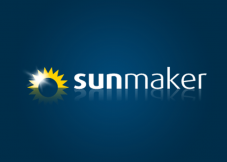 One Click Ltd., the company that operates Casino Land, is registered in Malta. The UK Gambling Commission as well as the Malta Gaming Authority license and regulate this company. One Click is also registered with IBAS. 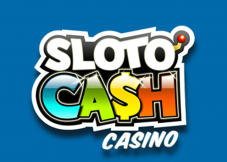 Players from different countries can access the products that the casino has to offer. The list includes but is not limited to Greece, Bulgaria, Latvia, Portugal, Ukraine, Thailand, Pakistan, Romania, Poland, Hungary, Russia, and Indonesia. For your convenience, we have mentioned all the pros and cons of the respective gambling platform at the beginning of the article. Find them at the top of this webpage. The dually licensed casino that works with multiple gaming providers, Casino Land is a gaming hub with plenty of top games for players. 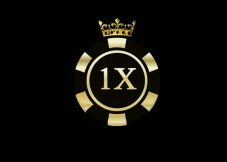 Its members also appreciate a superbly designed website, generous welcome offers, and the fact that they can access the casino from different parts of the world.